Imagine hosting a function or corporate event in an historic boathouse on the riverside, immersed in the beauty of natural bushland while being enchanted by views of the Yarra River. Originating as far back as 1863, Melbourne's beloved Studley Park Boathouse in Kew has instant appeal and stands fabulously restored and proud of its rich history. There are three function areas available for hire at Studley Park Boathouse, offering a blank canvas for your function or event and offer flexible set-up options. For a wedding reception, cocktail party, engagement party, corporate function and more, this fairytale venue is a superb choice to delight and mesmerise your guests with a special occasion that will be long remembered. The Balcony is set in the restored Victorian residence of Studley Park Boathouse, surrounded by old English elm trees, with natural light filtering in through the glass verandah, a classic and elegant space that by day is a restaurant. This space serves well for a cocktail party, small event and special formal functions, able to seat up to 76 people or 120 people standing, is available for exclusive use, and offers a range of menu packages to choose from. It is ideal for any conference style function - meeting, seminar or workshop, right through to training and team building events. For a fairytale event setting, The Terrace embues an ambience quite like any other. With options for indoor or outdoor alfresco style events, The Terrace combines charm and unique flexibility to transform into a sensational space for special events up to 80 seated or up to 120 standing for cocktail style events. 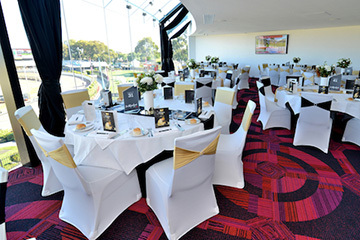 Events that are well suited to this space include a wedding reception, corporate function, cocktail event, product launch, engagement party, milestone birthday celebration and more. 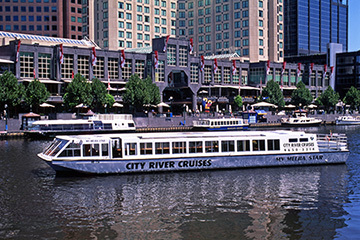 The Riverbank space is ideal for stylish outdoor events including a wedding, group function, cocktail event, corporate function and more. An open plan space that can be easily transformed into a special event space for day or night use, catering for up to 120 guests standing. An all weather space with a range of menu packages available set on the banks of the Yarra River and surrounded by natural bushland, the historic boathouse from a bygone era a perfect backdrop to your event. Let the Studley Park Boathouse take care of your food and beverage, audio visual equipment, theming and entertainment while you enjoy your event. You may want to include some of the onsite activities such as rowing or kayaking, walking through the bush tracks or bike riding into your event. Anything is possible here and the experienced team will ensure your event is everything you dreamed of. All your audio visual needs can be organised on request.